Traffic Citation in New Mexico? If you have been ticketed in New Mexico, or if you have a New Mexico Warrant or License Suspension, call 505.877.8787 today. We are ready to give you a free, confidential consultation to discuss your rights and options. When you have been ticketed in New Mexico, it can be a frustrating and confusing process. Glenn Smith Valdez is an experienced trial litigator and an expert traffic ticket lawyer who represents clients throughout New Mexico. He and his team represent all types of clients that include New Mexico drivers, tourists just passing through, and even commercial truck drivers. Glenn and his team are ready to answer all your traffic related questions, or to get you headed in the right direction to resolve your New Mexico traffic issues. Centrally located in Albuquerque, Glenn provides legal services statewide, including surrounding areas such as Valencia County, Cibola County, Torrance County, Sandoval County, and Socorro County. Anyone facing charges, from a simple traffic violation to more serious offenses within the State of New Mexico, should contact the Law Offices of Glenn Smith Valdez at 505.877.8787 for a free confidential consultation. Often, the stress of facing a traffic ticket is made worse by not knowing the process, not being aware of your options, being located out of State, and being unable to make it to your scheduled court date. Glenn and his team are experienced in traffic law and more than happy to provide you with answers to your New Mexico traffic law questions, and if needed, represent you in your New Mexico traffic case. Speeding Ticket in New Mexico? Receiving a speeding ticket or any type of traffic citation can be an intimidating experience, even if it just involves fines, points, or misdemeanor charges. It is especially stressful for people who do not know or understand the consequences involved with certain offenses. Glenn Smith Valdez is a great traffic ticket lawyer in New Mexico with the knowledge and expertise to calm a driver’s fears and anxieties. Glenn knows and understands that giving his clients prompt answers to their questions and accurate information about what to expect is often the best way to relieve the stress associated with citations, traffic court, and driving records. His firm offers help and assistance with dismissing, deferring, and fighting speeding tickets and other citations in the state of New Mexico. Former clients praise the service they have received from this New Mexico traffic ticket attorney. All types of moving violations such as speeding, driving with no insurance, reckless or careless driving are all subject to citations from law enforcement officers. Whether a driver is accused of a moving or non-moving traffic violation, it advisable to contact an experienced New Mexico traffic ticket lawyer as soon as possible. Glenn Smith Valdez offers expert advice regarding any traffic violation. He is familiar with all facets of New Mexico traffic law and may be contacted for assistance at 505.877.8787. The service offered by this expert traffic ticket lawyer is unsurpassed in the state of New Mexico. It can be very intimidating and stressful for Out-of-State drivers to be stopped by a law enforcement officer for a traffic violation. They may be unsure of the proper procedure for paying a fine or for contesting a ticket. It is even more if frustrating if they feel the ticket was issued unfairly. Because insurance premiums are usually tied to traffic citations, many drivers want to minimize this by fighting the ticket. Unfortunately, many drivers cited in New Mexico are forced to make a snap decision at the time of the traffic stop, admit guilt and agree to a fine, or plead not guilty and schedule the case for a court appearance. Those drivers who choose to admit guilt and pay the fine are, in all but the rarest of instances, locked into a traffic conviction. This practice is extremely frustrating and is one of the biggest injustices in New Mexico traffic law. Unfortunately, the New Mexico courts have held that this practice is legal, and except in cases where the driver can show 1) Actual Innocence and 2) Coercion by the law enforcement officer, a driver who elects the penalty assessment option is stuck with a traffic conviction on their record. Even those who meet the actual innocence and officer coercion criteria are facing a costly and extensive legal battle, initiated by seeking a Writ of Mandamus in the District Court in Santa Fe, New Mexico. When a driver is cited for a New Mexico traffic violation and chooses the Court Appearance option, they have made the first step in fighting the citation and keeping their driving record clean. The next step is to make the court appearance and enter a not guilty plea. Where and when you are required to appear is written on the lower portion of your ticket. Glenn Smith Valdez is an experienced traffic ticket lawyer who represents drivers statewide for their New Mexico traffic citations. He knows the traffic courts throughout the state and will offer clients expert advice and prepare a complete plan of action. Metro, Magistrate or Municipal Court? Speeding tickets and other traffic citations issued in Albuquerque, New Mexico require the driver to appear in Bernalillo County Metropolitan Court or Albuquerque Metro Court. All misdemeanor traffic violations in Albuquerque are handled through the Albuquerque Metro Court. Glenn Smith Valdez has over 18 years of experience working in and fighting for clients in Metro Court. This New Mexico traffic ticket lawyer has successfully represented many clients – with the majority receiving dismissals. He appears on the client’s behalf eliminating the necessity for the client to appear in person. 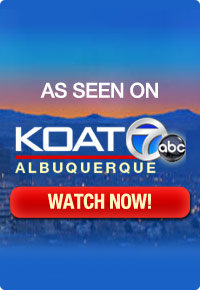 Drivers who have been ticketed in Albuquerque, but do not have the time or are unable to appear in Metro Court should contact Glenn Smith Valdez for help. If you are ticketed in any New Mexico County other than Bernalillo County and the ticket is issued by a New Mexico State Police Officer or a County Sheriff’s Deputy, then you will be ordered to appear in that county’s Magistrate Court. In rare instances, you might be ordered to appear in the Magistrate Court of an adjoining county, which while legal, is usually done by Officers looking for a friendly judge. In adjoining County cases, Mr. Valdez will file the appropriate venue motions to have your case transferred to the original County’s Magistrate Court. This move alone often results in dismissals when the Officer fails to appear, or the Court policies are more favorable. For those cited into the correct court, Mr. Valdez will file all the necessary pleadings for the initial appearance, without the need for his clients to physically appear. After that, he and his staff file motions for telephonic appearances, negotiate dismissals or deferred sentences, and if necessary appear on behalf of his clients for their trials, hearings, and other required court settings. Those drivers ticketed by local officers within the jurisdictional limits of a City, Town, or Village are typically ordered to appear in that locality’s Municipal Court. Municipal traffic courts are usually far less busy that the Magistrate or Metro Courts with smaller dockets and fewer court staff. Most Municipal Judges serve part-time, with many of them being retired police officers. That said, Municipal Courts run the gamut from smooth, friendly and painless to busy, impersonal and wallet gouging. Many Municipal Courts have their own local rules and idiosyncrasies that can trip up the drivers ordered to appear there for citations. Drivers who have been ticketed and told to appear in any New Mexico Municipal Court should contact Glenn Smith Valdez for help. Out-of-State drivers in particular, should hire a New Mexico Traffic Attorney familiar with the tendencies and preferences of the various Municipal Judges and Courts. Whenever a traffic ticket lawyer appears on behalf of a client in any New Mexico traffic court, there are certain procedures that must be followed. If the person receiving the citation decides not to appear in court, a New Mexico traffic ticket lawyer must file the appropriate paperwork needed to obtain a waiver for the driver’s appearance. Being familiar with the procedures involved in having traffic tickets dismissed at a traffic arraignment or any other stage of the process requires the expertise of a good New Mexico traffic ticket lawyer. Glenn Smith Valdez has successfully had traffic tickets dismissed, deferred, or reduced for his clients for more than 18 years. As an experienced New Mexico traffic ticket attorney, Glenn Smith Valdez has earned a reputation for his honesty and expertise in working with his clients. Law enforcement officers respect him for his honest, confident, and straightforward approach in representing his clients. Many of his colleagues, including police officers and judges, enjoy working with this New Mexico traffic ticket lawyer and frequently refer clients to his law firm. Glenn Smith Valdez is well known as a lawyer who gets fantastic results. As the best traffic ticket lawyer in New Mexico, he has successfully obtained outright dismissals, dismissals of tickets after driver improvement or safe driving classes, and dismissals after 90 days without further violations for his clients. Clients can expect to receive personalized attention from Glenn Smith Valdez, the premier traffic ticket lawyer in New Mexico. He is committed to staying in constant communication with his clients during all negotiations and proceedings. If a plea offer for a serious traffic violation is unacceptable for the client, he will work on the client’s behalf to schedule the case for trial. In the event that the issuing officer does not appear in court, it is the responsibility of the lawyer to make a proper motion for dismissal. In those circumstances, the judge usually dismisses the case. If the officer is present at trial, Mr. Valdez will discuss all the options available for the client. As the best traffic ticket lawyer in New Mexico, Glenn Smith Valdez uses his experience and excellent legal skills to obtain the best results for his clients. If you want to see for yourself what he has done for clients in more serious matters Look Here. When drivers ignore or forget a New Mexico citation or fail to appear for a hearing or trial, it usually results in the issuance of a warrant. If this occurs, the driver is at risk of arrest. The court will impose mandatory fees and and may suspend the driver’s license. If the client receives notice of driver’s license suspension or a court warrant is issued, it is time to contact Glenn Smith Valdez, New Mexico’s top traffic ticket lawyer. He can help by filing the necessary motions to cancel or quash the Traffic or Bench Warrant and discuss options for posting bond. Glenn Smith Valdez will work with the New Mexico Motor Vehicle Division (MVD) to help get the license reinstated. He will contact both the court and MVD, and secure and file the proper clearance paperwork. Then it is simply a matter of the driver paying a reinstatement fee. Both New Mexico and Out-of-State residents should contact Glenn Smith Valdez at 505.877.8787 for immediate results. When dealing with New Mexico tickets for any traffic offense, it pays to work with the very best and most experienced New Mexico traffic ticket lawyer. Glenn Smith Valdez represents clients charged with any New Mexico traffic violation. He brings years of experience to the negotiating table and understands New Mexico traffic laws. Mr. Valdez is one New Mexico traffic ticket lawyer who is proud of his record of helping drivers ticketed in New Mexico. He has been instrumental in helping hundreds of ticketed drivers get traffic citations dismissed without them having to appear in court. Out-of-State drivers with New Mexico traffic citations should call Glenn Smith Valdez at 505.877.8787. He can often help them resolve traffic issues without having to return to appear in a New Mexico Court. Over-the-road commercial truck drivers who receive tickets while traveling through New Mexico need help resolving the problem quickly and thoroughly. Glenn Smith Valdez is an experienced ticket lawyer in New Mexico who has helped hundreds of truck drivers resolve issues with citations for speeding, faulty equipment, expired medial cards, and other citations targeting Class A drivers. With his expertise as a traffic ticket lawyer in working with local officers and courts, he has been successful in helping with all scenarios and getting the drivers case completed and their truck back on the road as quickly as possible. Glenn tackles all traffic charges including speeding, commercial driving violations, DWI, and reckless driving. Many of these traffic charges have very serious consequences and repercussions for the driver. Many carry high fines and others may result in suspension of driver’s licenses or even jail time. As a highly experienced New Mexico traffic ticket lawyer, Glenn Smith Valdez is dedicated to helping current and prospective clients understand what is involved in the legal process. As the best traffic ticket lawyer in New Mexico, Glenn Smith Valdez listens to all the details associated with traffic citations and analyzes the client’s legal position. Clients need to hear the pros and cons of their particular situation before making the decision to proceed with any specific resolution. Glenn Smith Valdez makes certain that clients know what is at stake and he understands what their purpose is in seeking legal representation. Hiring a traffic ticket lawyer in New Mexico can help drivers get their New Mexico traffic citations dismissed. Because traffic citations can affect insurance rates and even play a role in preventing a client from being hired for some jobs, hiring a traffic ticket lawyer to negotiate a ticket dismissal is a smart choice. The Glenn Smith Valdez team works tirelessly for their clients always striving for the best, most positive outcome. The best part is that the client does not have to set foot in the courtroom in order for a judge to order a dismissal. Glenn Smith Valdez understands traffic citations and his record of dismissals speaks for itself. Contact him today at 505.877.8787 for a free consultation and case evaluation. After doing some google research and considering several factors I decided to go with the Valdez Law Firm!! Let me tell you this was the BEST decision I made! From the beginning to the end of the process this team was very professional and clear, made feel very confident and as such, in good hands. The outcome was amazing. I encourage everyone out there in need of an extraordinary traffic law office to call these guys!! Thank you thank you and thank you. Will always be grateful to have been your client and for all the hard work you all did. You guys rock!!! Vladimir V.